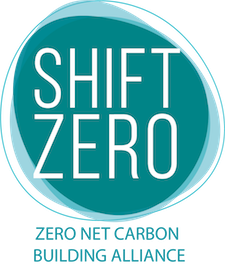 Over the past year, members of the Shift Zero PACER Task Force led extensive stakeholder engagement and advocacy for enabling Commercial PACER financing in Washington State. In the 2019 legislative session, HB 1796 was introduced and made it to the House floor, but unfortunately ran up against the voting cutoff and didn’t proceed. Solid groundwork has been laid to continue to build strong support for C-PACER in the 2020 session. If you’d like to be part of the PACER outreach effort in Washington please sign up here. Since 2010, nearly $800 million have been invested in commercial building improvements in at least 16 states through an innovative economic development tool called Property Assessed Clean Energy (PACE). Fourteen more states have recently passed PACE enabling legislation and are now developing PACE programs. In Washington state, a growing coalition of economic development, private industry, social justice, and environmental stakeholders is coming together to develop and support legislation to enable Commercial PACE in Washington, adding an “R” to PACE to emphasize that this type of financing can cover resilience measures in addition to clean energy and efficiency. PACE financing is a rapidly growing financing tool that enables building owners to pay for critical building improvements that make their properties more valuable by reducing operating expenses, improving the health of occupants, and strengthening long-term sustainability. PACE financing provides a way for local governments and private lenders to cooperate on loans secured by the property tax obligation, similar to a local improvement district. The debt does not appear as an obligation on the building owner’s balance sheet, and the repayment obligation stays with the property rather than the owner whenever the building is sold. PACE loans follow well-regulated underwriting practices to ensure that the equipment pays for itself over the financing term. PACE financing is secured by placing a lien on the property for the term of the debt, which typically lasts 15-25 years. This long term allows property owners to invest in efficiency improvements that raise net operating income and increase property values, where other forms of financing typically would not be cost effective for making such facility investments, especially for short-term holders of commercial properties. Property owners and municipalities have no obligation to participate, so there is no concern on their part if they find PACE financing is not right for their building or community. SAVE MONEY – Property owners are more focused today than ever before on energy and water conservation. PACE helps reduce utility bills by lowering energy costs. Long term pay back can make PACE-funded projects immediately cash flow positive. CREATE JOBS – PACE funded projects create more jobs and economic activity. According to the 2011 study by ECONorthwest, every $1 million in project spending results in 15 new jobs and $2.5M in economic output. MEET CLIMATE GOALS – PACE helps communities achieve important energy and water conservation goals. Efficiency projects upgrade old equipment which reduces energy use, while renewables replace fossil fuels and reduce greenhouse gas emissions. More than 30 states have passed PACE enabling legislation since it was first developed in 2008. In Washington state, previous interest in PACE had been stymied by the misconception that our state constitution prohibited PACE. Fortunately, a thorough legal analysis [Read the memo] recently demonstrated that by bringing in private capital, PACE is allowable in Washington and does not violate any local “lending of credit” prohibitions that were of previous concern. Our growing coalition of economic development, private industry, social justice, and environmental stakeholders is coming together to develop and support legislation to enable PACE in Washington, adding an “R” to PACE to emphasize that this type of financing can cover resilience measures in addition to clean energy and efficiency. Commercial PACER legislation is now in development and we are working with legislators in Olympia and other interested stakeholders to ensure that a PACER bill gets passed in the 2019 session that ensures a robust and efficient PACER market can be created in Washington. Commercial PACER legislation is critical to unlocking this powerful economic development tool. A PACER lien is paid back by the property owner as a special assessment on their property tax bill. This innovation is fundamental to bringing the security that capital providers need to be able to unlock this market and bring needed investment to Washington’s commercial, industrial, non-profit, and multifamily building stock. Click here to sign on and show your support. We will add your organization’s name to our list of supporters as we educate stakeholders and policymakers on the value of Commercial PACER financing in Washington. Get in touch. Contact pacer@shiftzero.org and our PACE in Washington experts will get back to you. Subscribe to receive updates and please note your interest in PACE.